Title and short description of the proposed business plan. 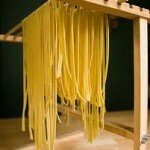 New and traditional recipes are to be used for the production of pasta with pure fresh local ingredients. Production of handmade pasta using raw materials from the islands of Lesvos and Limnos. Traditional “grandma’s recipes” will be used so that our traditional tastes are given prominence to. At this stage the building where the business will be housed has been found and market research is conducted for the equipment to be bought. Our aim is to produce high-quality products in reasonable prices. 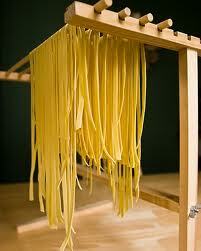 Old traditional recipes will be used for the production of pasta. The recipes were collected from housewives many of whom come from Minor Asia and live in villages on the island of Lesvos. We are sure that these traditional tastes in combination with the use of pure ingredients from Lesvos and Limnos will draw the interest of our potential buyers. Initially we aim at the buying public of Lesvos. We also aim at promoting our products everywhere in Greece in the near future. There are some local consortiums producing similar products as well as packaged products promoted as ”traditional”. Quality, variety of products, reasonable prices. Promotion of the products everywhere in Greece. Pasta made mainly with raw local materials. Variety of products and forms: spaghetti, macaroni, homemade noodles, trahanas and a variety of pasta products in different shapes. The package will also be handmade. Α. Selection and purchase of raw materials from local producers from Lesvos and Limnos. Β. Kneading and addition of aromatic substances as well as other ingredients such as spinach, eggs, tomatoes et.c. C. Production of pasta in a variety of shapes using appropriate equipment. We will prefer local producers from Lesvos- Limnos. There are five members in the production staff (who are also the founders of the business). Depending on the kind of product the price ranges from 2 to 4 Euros. With the right promotion and due to the high-quality of our products in combination with our reasonable prices, we hope that we will have capital amortisation after five years. We believe in the long sustainability of our business, as well as the expansion of the business in all over Greece and other European countries.